The futuristic innovations of car manufacturers continue to amaze me and millions of other present-day consumers. It seems like every day something new and exciting comes out in relation to automobiles. From audio systems to self-parking capabilities, I know I personally am constantly discovering new technological advances. Amazingly, some of the most exclusive and high-end cars may not even be known to many average car buyers. These cars are some of the best-designed vehicles in the market, and have high function and a sleek design along with limited availability and high prices. These fantastic creations are called hypercars or supercars. According to therichest.com, these vehicles “can be defined as a high performance and expensive sports car or grand tourer … an exotic car … the highest performing supercars and most expensive.” These cars are what most people would imagine as a sports car, fabulous cars we only see in movies, or even cars that superheroes drive (hence the alternate name of “supercars”). They are rare, cleverly designed and intelligent machines. This year, there is much to talk about in the supercar market, and here are some of the most-hyped hypercars of 2016. One of the most anticipated hypercars of 2016 comes from an Aston Martin-Red Bull collaboration, what they are calling the “innovation partnership.” The buzz surrounding this particular model is that it will be “the closest thing to a street-legal racing car.” With only 99 of this model expected to be built, and all of them already sold, this car exceeds its expectations. After a top-secret unveiling of the car to a select group of people, the demand for this model is now said to be twice the available production number. It has a steep price of $2.2 million for those lucky enough to have the opportunity to buy it, or even get a chance to see it. This tag team of experts, Red Bull accounting for all things wild and race-related and the luxury design and build of Aston Martin has set out to create the “ultimate hypercar.” They are hoping to give customers a high-end yet thrilling experience, with manufacturers aiming to make not only the fastest road car in the world, possibly as fast as an F1 vehicle. This incredible machine is expected to release this summer. While many car enthusiasts can’t wait to see it, the exact date of release is still under wraps. Aston Martin seemingly has never failed to impress in the past with their top-of-the-line hypercars. With all the hype, it’s a safe bet that this car will not fail to amaze. 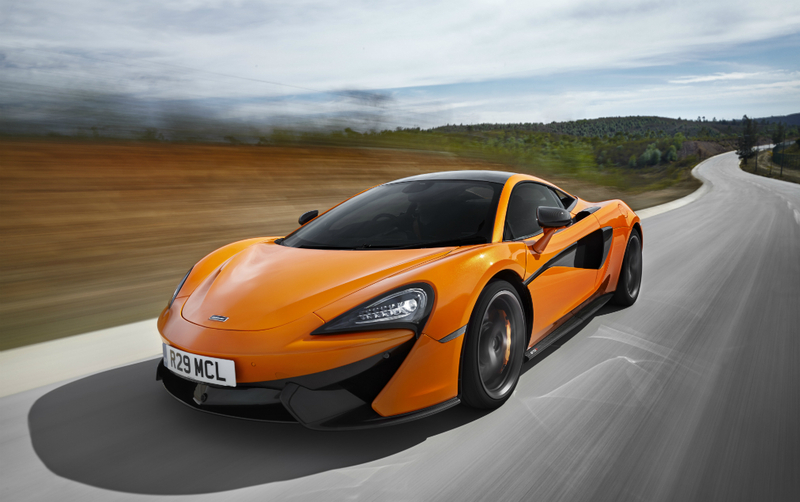 Another very interesting hypercar soon to hit the market is the McLaren 570S model. With a high-end sports car brand like McLaren, we are expecting great design and function as usual. That is, a car that still requires much driver dedication and attention, while containing adjustments to fit the everyday car owner. The main hype surrounding this exciting new model is not only that it is extremely innovative and different, but also affordable. Relatively speaking. Aside from the normal cost of most hypercars, and those of other McLaren-produced vehicles, the 570S model is going to be more accessible to the everyday consumer. Costing $200,000 in comparison to the typical million-dollar price tag of many luxury supercars. Although the price is significantly lower, there is some skepticism that it will not meet the high standards of McLaren style and functionality. However, test drivers have reported that they had a different experience driving this model compared to many popular supercars. The innovative riding style is celebrated by many test drivers — while gearing full speed ahead it provides a smooth ride. But, while turning it seems to slow down a bit, to many drivers’ disappointment. In addition, test drivers were pleasantly surprised to find that as they rounded the end of the turn, the car gained a surge of energy and booted around the corner. This innovative driving style created a customized ride like no other. Being the lightest vehicle on the market, it allows great control. The 3.8-litre V8 twin turbo engine produces 562 horsepower at 7,400 rpm and can reach a speed of 60 mph in 3.2 seconds. Set to release the middle to end of this year, you can preview the vehicle on the McLaren website now. The latest Ford model, the GT40, has continuous hype surrounding its production as well. Although expensive, but not in the millions, the new Ford model will cost around $400,000 and has high exclusivity in production rates. Ford is only set to produce 250 vehicles for this model. The buildup encompassing this hypercar is about the new style and technologies, as many other hypercars. 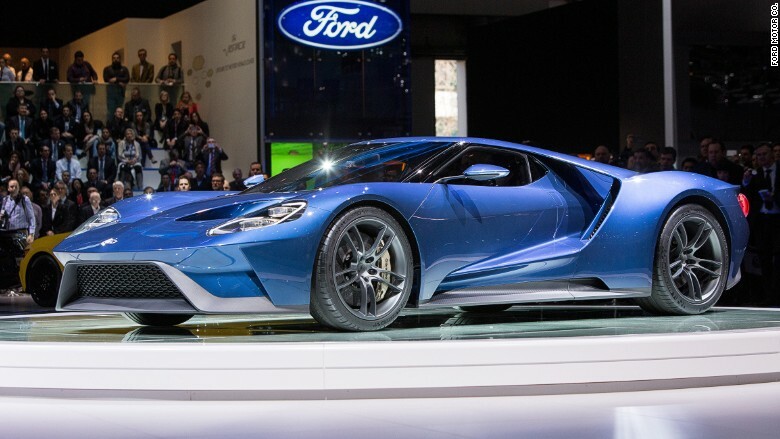 But with this, Ford’s claim is that these new features are not exclusive to their high-end supercars, but will be implemented in other Ford models as well. Such as the small, more aerodynamic design that Ford hopes to apply to future models in the consumer market. Ford opted to use a smaller engine than most cars of its kind in order to allow a smaller design, and higher functionality of the hypercar. A decision that sets them apart from the hypercar market. Although a smaller engine may function differently than other comparable sized engines, Ford claims the functionality should not suffer. This is backed by a 3.5-litre Ecoboost V6 engine with a projected horsepower of 600+. “Whether on the road or on the track, every single element of the Ford GT was designed to deliver the extraordinary speed and exceptional handling found only in purpose-built racing cars.” Ford says. The company projects to have this model available in late 2016 for the supercar buyers. This leaves car fanatics with high expectations of the new technologies, smaller engine and innovative design. Maybe the Ford GT40 will disappoint, but maybe it will be just what the car industry needs — something innovative, fresh and different from the rest. Along the lines of exclusive and high-end car models and brands, the Swedish design of Koenigsegg is sure to astound this year in the hypercar market. The newest model, Regera, which costs around $2 million, will be comparable to the Aston Martin model in that it is the closest thing to a race car that will be allowed on everyday roadways. This brand sets itself apart from other supercars of its time, being that it does not come from a large manufacturer or huge name car brand. These cars are produced in a small factory located in a local fishing village of Sweden. They don’t use robots to assemble their parts, they employ the use of their own hands to personally assemble each car to perfection. From building the engines to crafting the inner-workings and sculpting the design, Koenigsegg takes luxury cars to another level of dedication and attention to detail. From a small company like this, there is just about enough hype as expected, as mainly car enthusiasts would be able to recognize this brand name. This car was released in March at the Geneva Motor Show and is set to produce only 80 models. It is reportedly out for sale later this year. With the enthusiasm surrounding this unique hypercar manufacturer, I think they will not fail to impress in 2016, providing a strong competition for many hyped-up cars set to release this year. Hypercars are all things high-end, exclusive and expensive. There is so little availability that the hype surrounding these cars seems to precede the cars themselves. It’s interesting to note that while many manufacturers meet or exceed their expectations year after year, some may fail to meet their intended hype. These are the cars people dream about, the cars that create hype, excitement and intrigue. These are some of the most hyped hypercars of 2016, but there are many more to add to your fantasy car list this year. For more information on the newest, most-hyped hypercars of 2016, click here.